I recently wrote a blog post that questioned the widespread belief that strengthening muscles makes them "tighter". In the post, I focused on the hamstrings as my main example, because so many people have "tight" hamstrings, but they are generally not recommended to strengthen them due to a belief that this would only make them tighter. Additionally, we spend a lot of time stretching our hamstrings in yoga, but very little time strengthening them. This video demonstrates one method of strengthening the hamstrings that can easily be included in any yoga class. I love this move and hope you have fun trying it out! Hamstring Strengthening for Yogis w/Jenni Rawlings from Jenni Rawlings on Vimeo. Once you’ve spent enough time studying the body and movement, you begin to develop refined anatomical eyes that can see patterns in the way people move that they can’t sense in themselves. One of these patterns that I see is that yogis tend to move where it’s already easy for their bodies to move while avoiding the work required where true positive change is needed. This is a complex issue that has partly to do with the alignment we choose for our poses. But another factor is a surprising sensory disconnect between what we feel is happening in our body and what is actually happening (also known as poor proprioception), combined with a widespread notion that going “deeper” into our poses is better or more “advanced”. 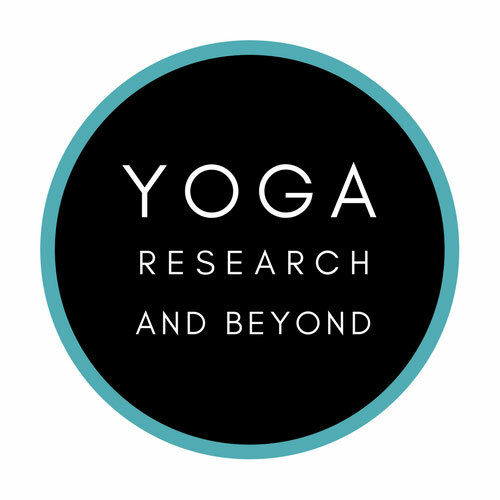 In our continuing effort to update our beloved yoga practice with modern-day biomechanics knowledge (the science of how the body moves), let’s examine how we can improve one specific body awareness issue that applies to many different yoga poses. We love to do everything while sitting in chairs! Due to our sitting-based lifestyles, the overwhelming majority of us have tight, locked up hips. (Update February 2016: Although it's commonly believed that sitting makes our hips tight, I realize today that "tight" is a very subjective term that does not have an objective, scientific meaning. Many of use the term "tight" to imply "short", though, as in "sitting shortens the muscles of your hips", but truthfully, we don't actually have evidence to support this claim.) As I’ve written about before, when we don’t move well at one area of our body, we will compensate for that lack of mobility by moving more than we should at an adjacent area of the body, thereby creating too much mobility (a.k.a. hypermobility) in that spot. In the example of our tight hips, the neighboring area that we tend to overuse is our lumbar spine (low back). Hypermobile areas are the sites of pain and injury in many people - is it any wonder that so many of us experience low back pain in our lives? Supta padangusthasana with big toe hold. But before we worry too much about complex shapes like leg behind the head and hanumanasana, let’s take a look at a relatively simpler shape: supta padangusthasana, or reclined big toe pose. The traditional version of this asana has the yogi hook their big toe with their fingers. Although this is how the pose is commonly taught, in reality if we bind this way, we’ll tuck our pelvis under, which flexes our lumbar spine and turns what we think of as a hamstring-opener into a low back-opener instead. It’s fine to do the pose this way (really, it is!) if your goal is to open your low back, but if you’re interested in stretching your hamstrings (and therefore your hips), you’ll need to ditch the big toe bind and opt for a yoga strap or belt instead. Many informed yogis already practice this pose with a strap (great job, you! ), but even with the help of an excellent prop, most of us still fail to find our optimal hamstring stretch. Remember our foundational rule that we must move from our hips in order to stretch our hips. It sounds like such common sense, but when we’re talking about bodies with ingrained non-optimal movement patterns, our brain doesn’t see things so clearly (poor proprioception). In order to move solely from our hip joint in supta padangusthasana, we simply need to pull our stretching leg in without also moving our pelvis. If the pelvis moved, the spine moved, which means you’re stretching your low back. Make sense? Supta padangusthasana with a strap AND opposite hamstrings on the ground - the best variation yet! But how do we know if we’re doing it right? There’s a perfect alignment marker designed just for this purpose that is extremely helpful, yet not well-known in the yoga world. You’ll know that you’ve moved your stretching leg solely at your hip joint if the hamstrings of your opposite leg are on the floor. This is because if you pull your lifted leg past the true edge of your hamstrings’ length, those hamstrings will pull the pelvis into a tuck, which will cause the other leg’s thighbone to lift away from the floor. (Can you picture that?) If a little Hot Wheels car can drive itself underneath your bottom leg’s hamstrings, then you know you need to lower your raised leg down - sometimes a LOT - until those hammies are back on the floor. Don’t be surprised if this means that the new alignment for your pose has your lifted leg only about 45 degrees (or less!) from the floor. Although it might be tough to accept this newly-defined edge for a pose you’ve done so many times before (believe me, I know from personal experience! ), learning to reign your poses in to the actual, biomechanical stretch edge of the tissues you’re trying to mobilize is a huge first step toward improving your mind-body connection and therefore your proprioception. Supta padangusthasana is a great pose to examine in learning to refine hip vs. spinal movement. As poses become more complex like the super bendy ones on display in YouTube clips and Instagram photos these days, the emphasis on “deeper” shapes and how a pose looks takes priority over which tissues in the body we’re mobilizing and for what reasons. Although poses like these are fun, creative, and artful, if our goal in practicing yoga is to cultivate long-term balance and health in the body, the science of biomechanics would tell us that the pursuit of deep, bendy shapes is not the correct means to that goal. In my practice and teaching, yoga is about a focused and humble encounter with one’s own limitations. Once we learn to see and accept our body with clarity and accurate perception, we can begin our path toward movement integrity and wellness. Welcome to Part 2 of my hip-opening article! In Part 1 we looked at how classifying a small, specific group of yoga poses as "hip-openers" overlooks the anatomical fact that nearly all yoga poses are hip-openers, and if we treated them that way, our practice could offer us so much more. We'll now turn our biomechanical eye to how you can shift your alignment to truly open your hips in your practice! Let's take pigeon pose. Single-leg pigeon pose is what most yogis picture when it comes to hip-opening (although we now know that there are a multitude of other poses which open the hips as well). This is a tricky pose because it requires a range of motion in the front hip that most people don’t actually have. In order to move into the shape, we often unknowingly destabilize other joints (especially the front knee), which is just a lame situation that no one wants. In order to effectively open our hip in this pose without putting other body parts at risk, most of us will have to prop our front thigh up very high - but few people actually do this. I think I’ll elaborate on this whole topic in a separate blog post, but for now, I’ll just offer that full lying face-down single-leg pigeon pose isn’t a great hip opener for most chair-sitting bodies (and it wasn’t a great hip-opener for me when this photo was taken awhile back - heh heh. :) ) For truly effective and non-joint-damaging hip-opening I’d recommend other stretches instead, like the awesome reclined pigeon pose (pictures below). Reclined pigeon stretches a few muscles in the back of the hip, but let’s focus on just one of its main target muscles to keep things simple: the infamously tight piriformis. As I wrote about in my hamstring stretching post (with cool rubber band photos to illustrate :) ), in order to stretch a muscle, the distance between the muscle’s attachment points must increase. Most people simply don’t understand how to truly move a muscle’s attachment points away from each other (I didn't fully comprehend this myself until I studied with my biomechanics teacher, guys!) and they therefore end up completely bypassing their intended stretch and stretching inappropriate tissue instead. Here’s a quick review of a tucked vs. un-tucked pelvis. In the un-tucked photo, note the presence of the natural inward curve of the lumbar spine/low back. The below photo demonstrates the way most yogis do reclined pigeon. Knowing what we know about how to spot an un-tucked vs. tucked pelvis, can you see that in this pose, the pelvis is tucked, and instead of the natural inward curve of the lumbar spine, you see a lumbar spine that is rounded outward? There is no piriformis stretch happening in this pose at all because this muscle's attachment points are not moving away from each other. Instead, the whole pelvis tipped backward, resulting in an unintended stretch to the low back and a piriformis that unhappily kept its same old short length. In this photo, however, you can see that Anna has backed off the shape by not pulling her thigh in toward her chest, which has allowed her pelvis to remain un-tucked. Now all she needs to do is maintain the un-tuck and maybe move her pigeon leg knee away from her a bit to actually create a stretch in her hip. There are so many other poses which can open our hips, but to cover this topic in full is too big a job for this little old blog post. As I mentioned above, all hamstring stretches are hip-openers (including parsvottanasana (pyramid pose), adho mukha svanasana (downward facing dog), and supta padangusthasana (reclined strap stretch)). All seated yoga poses are also hip-openers, all backbends are hip openers, all standing poses are hip-openers - the list is practically endless! Your whole yoga practice can become a hip-opening practice if you can see these poses for what they’re actually offering to your body. Biomechanics and anatomy offer a profound understanding of the body and what our yoga practice is actually offering to us. 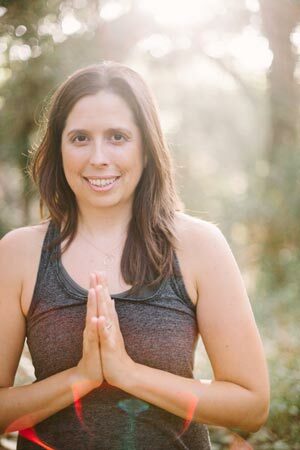 As a progressive yoga teacher, my hope is to bring the clarity of this biomechanical perspective to the way we practice yoga so that we can move toward living in our bodies in a truly mindful way. I invite you to forget about “hip-openers” and to start thinking about aligning your body with integrity so that you can turn your whole yoga practice into the hip-opening experience that it’s meant to be! We talk a lot about “hip-openers” in yoga, but hip-opening is actually more complex than we often realize. Pigeon pose and its variations are usually considered the main group of poses which "open our hips", but surprisingly, most people unknowingly practice these poses in a way which bypasses the actual hip-opening they offer. The truth is that nearly all yoga poses are hip-openers, but we haven’t learned to think about them this way, and we therefore don’t align our joints to find this hip-opening potential that our bodies so desperately need. Instead of thinking about the small group of poses we usually classify as “hip openers”, we should broaden our focus and learn to open our hips throughout our entire yoga practice. The hip is a joint, which means that it’s a moveable part of your body. Motion at the hip takes place when the femur and pelvis move in relation to each other. There are lots of movements available at the hip joint, including hip extension (moving the thigh behind you, as in shalabhasana), hip flexion (think diving forward from tadasana to uttanasana), hip abduction (moving your thigh out to the side, like your back leg in warrior 2), hip adduction (moving the thigh toward your midline - think eagle pose), and internal and external rotation. Ideally all of these motions would be fluid and easy for you all of the time, but all too often, our hip joint movement is restricted in one or more planes (or all of them), resulting in hips we experience as “tight”. What Does It Mean to Have Tight Hips? Even though we might casually talk about our joints as being “tight”, the truth is that your joint itself isn’t really the issue. 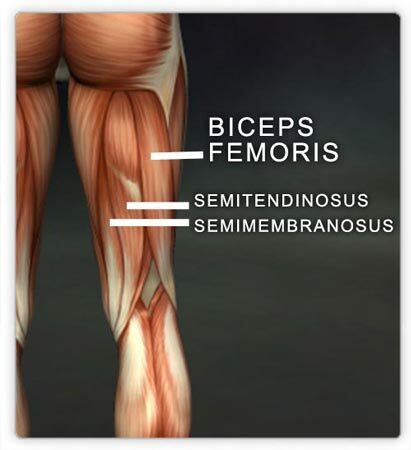 It’s actually the muscles and fascia that cross your joint that restrict your movement. And how do these tissues become restricted? As my biomechanics teacher Katy Bowman says, “your body adapts to what you do most frequently”. And the one body position that we as a culture tend to assume most frequently is sitting with our hips and knees flexed at 90 degrees. Even if you don’t think you sit a lot, or if you have a job which requires you to stand, you’re probably forgetting all the other time you do spend sitting because it’s so ingrained in your daily lifestyle that you almost don’t even realize it. In a nutshell, our over-use of the sitting posture familiarizes our brain with a position of shortened hip flexors (the muscles that cross the front of our hips) and hamstrings (the muscles that line the back of our thighs), as well as effectively “turns off” our otherwise powerful glutes, and basically just throws our whole hip package out of balance. The result is unhappy, "tight" hips which drive us into yoga classes in search of some much-needed opening. Why is Having Tight Hips Uncool? There are many reasons that our tight hips are uncool, and the general discomfort we experience from stiff-feeling, unyielding muscles is just the beginning. Most people don’t realize the incredibly huge role that our musculoskeletal system plays in our body’s overall health. But check this out: our blood vessels and lymphatic vessels are embedded inside our muscles. Blood carries the oxygen which feeds our cells, resulting in cellular regeneration, and lymph is our body’s waste-removal system. But blood and lymph can only flow well through muscles which are at their optimal, supple length. A tight muscle will resist the circulation of these vital fluids - picture a fist gripping a hose and how that would effect the flow of water running through that hose. Put another way, tight muscles work against the flow of your cardiovascular system (blood) and your immune system (which your lymphatic system supports). The result is increased blood pressure, decreased metabolism, waste accumulation in your tissues, and increased risk of cardiovascular disease. If optimal health in our body is important to us, bringing suppleness and circulation back to our tight muscles must be a priority. Had you ever thought about your muscles from this bigger-picture, whole body health perspective? Another reason that tight hips are no bueno is that when we want to get something done that requires hip motion, like picking something up off the floor, or pressing up into urdhva dhanurasana (wheel pose) in yoga, we will move from somewhere else more than we should because we can’t move from our hips as much as we should. Unfortunately, the alternative body part that is all too often over-used when our hips are tight is our vulnerable spine. Hello, spinal joint degeneration, herniated discs, impinged nerves, and back pain in general! Understanding a bit more about our anatomy reveals to us that tight hips are actually about much more than the inconvenience you might experience when you can’t get into lotus position in yoga class. What Does “Opening the Hips” Mean? But hip-opening is about so much more than simply pigeon pose. There are a total of 22 muscles that cross the hip on all sides and at varying angles, including your hip flexors in the front, your hamstrings, glutes, and deep lateral rotators in the back, your inner thigh muscles (collectively called your “adductors”), and your outer thigh muscles (collectively called your “abductors”). Can you see that once we have an anatomical definition for what hip-opening is, it’s difficult to name a yoga pose which is not a hip-opener? (Inversions aren’t really hip-openers, but I wish they were! :) ) Our whole yoga practice is basically just one big hip-opening opportunity. However, most yogis are very (very!) good at compromising the work we need to do in order to stretch our hips in our poses. This is because we simply don’t understand how to position our joints (a.k.a. alignment) in a way that actually stretches our hips, and we end up leaving our mat without much change in our tight hips at all. But it doesn’t have to be this way, guys! Check out Part 2 for some great tips on refining your practice with hip-opening in mind!